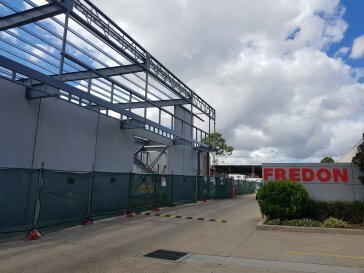 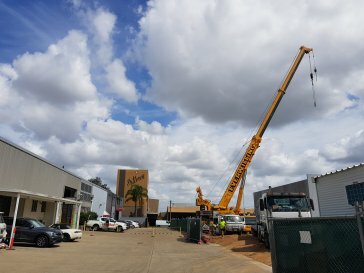 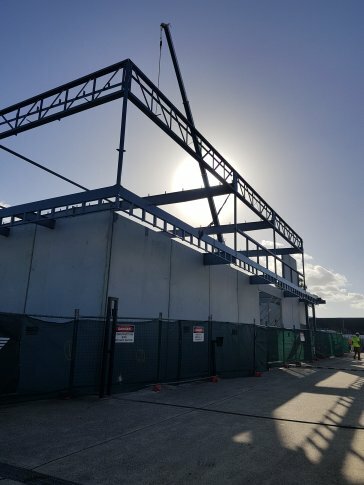 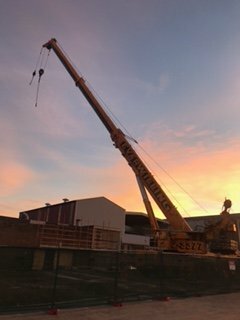 Fredon’s construction works at their Silverwater premises are quickly progressing, with 24 concrete tilt panels recently installed and the installation of structural steel in progress. 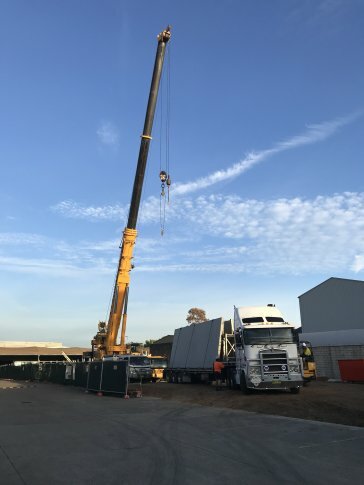 A 300-tonne crane and semitrailers were required for the tilt panel installation and Fredon staff were amazed at how quickly it was assembled. 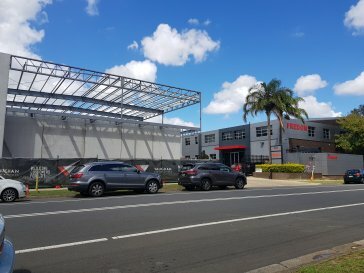 The NSW operation houses national support staff, and the NSW divisions of Fredon’s electrical, air, security, technology and asset services departments. 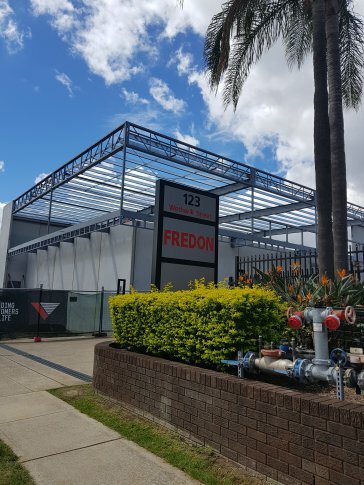 Celebrating their 50th anniversary in 2018, Fredon’s continued progress has meant they have outgrown the Silverwater premises. 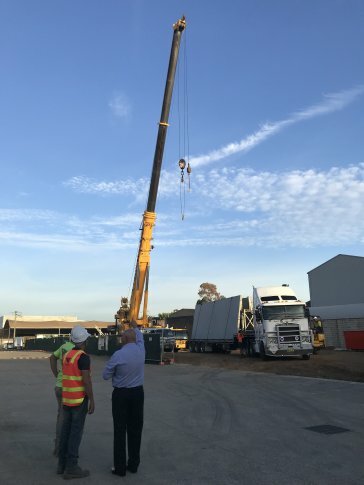 The award of several major construction and infrastructure contracts will result in a further 300 jobs within the next year. 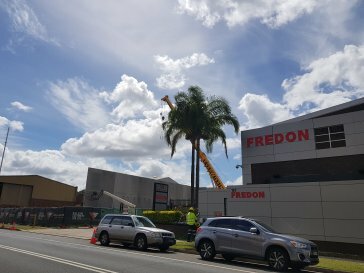 Vaughan Constructions have had traffic control officers on site to coordinate vehicle and pedestrian movements which have also been aided by the Fredon bus, allowing staff to park off-site while construction continues. 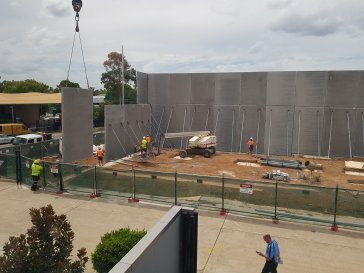 The new office is expected to be complete in June 2018 and will accommodate 80 full-time staff in addition to the 140 in the current office space across 3100 sqm of functional office space. 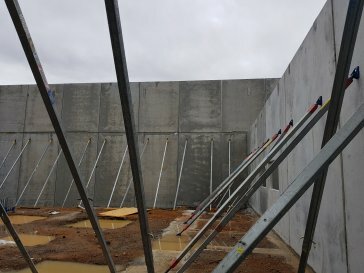 There will be approximately 120 car spaces and 1800 sqm in warehouse / factory floor space. Fredon are self-performing the electrical and communications works within the build. 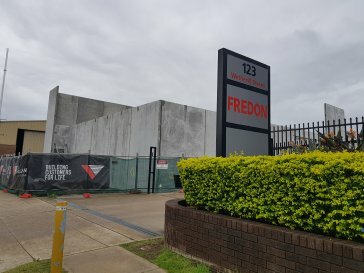 Fredon Electrical NSW will deliver a KNX interfaced control system, used to efficiently control lighting and window shades, dependent on external daylight conditions. 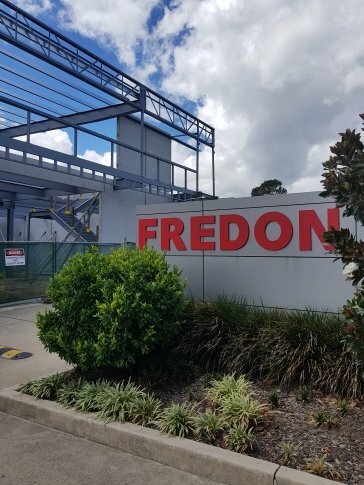 It is hoped future stages of the development will include the addition of solar arrays and other sustainable energy platforms to improve Fredon’s green credentials and their carbon footprint. 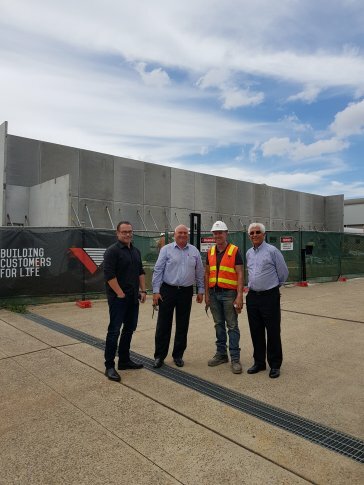 Alan Brown, Deputy Chairman of Fredon Group, has been driving the planning and delivery of this project. 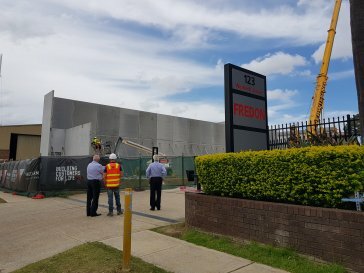 Alan last year celebrated 40 years with Fredon, so his extensive construction experience has been a huge advantage in managing this project. 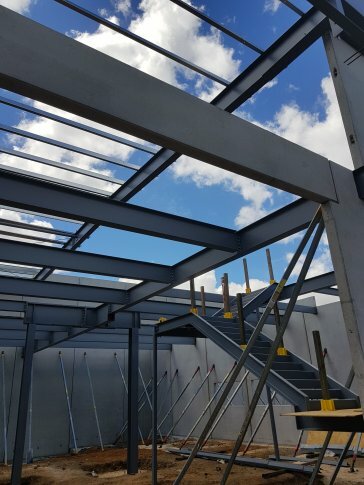 The next stage will see the installation of the bridge between the old and new buildings.